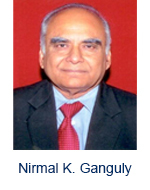 Nirmal Kumar Ganguly, M.D was formerly a Distinguished Biotechnology Research Professor, Department of Biotechnology, Government of India. He was formerly President of the Jawaharlal Institute of Postgraduate Medical Education and Research (JIPMER), as well as that of the Asian Institute of Public Health, Bhubaneswar, Odisha. He is the former Director General, Indian Council of Medical Research (ICMR), New Delhi; former Director, PGIMER (Chandigarh); and former Director, National Institute of Biologicals (Noida). Prof. Ganguly has published 769 research papers and has supervised 130 Ph.D theses as Supervisor/Co-Supervisor. His major areas of research have been Tropical Diseases, Cardiovascular Diseases and Diarrhoeal Diseases. His interest encompasses the disciplines of Immunology, Biotechnology and Public Health. Prof. Ganguly is Fellow, Imperial College Faculty of Medicine, London; Royal College of Pathologists, London; International Academy of Cardiovascular Sciences, Canada; Third World Academy of Sciences, Italy; and International Medical Sciences Academy, New Delhi. He is also Fellow, National Academy of Medical Sciences, New Delhi; Indian National Science Academy, New Delhi; National Academy of Sciences, Allahabad; and the Indian Academy of Sciences, Bangalore. He is a presently Visiting Professor of Eminence, Policy Center for Biomedical Research, Translational Health Science & Technology Institute & Honorary Senior Research Professor, Institute of Liver & Biliary Sciences ,National Institute of Immunology, New Delhi He has received 117 Awards, including 6 International and 111 National Awards. He has been honoured with the prestigious Padma Bhushan Award by Her Excellency, the President of India on 26th January, 2008 in the field of “Medicine”. 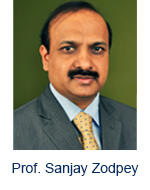 Prof. Sanjay Zodpey presently works as Vice President (North) and Director, Public Health Education, Public Health Foundation of India (PHFI), New Delhi and also holds leadership position as Director at Indian Institute of Public Health, Delhi. He also served as Director of Indian Institute of Public Health, Gandhinagar and Bhubaneswar. Earlier he worked as Professor at Department of Preventive and Social Medicine, Faculty in Clinical Epidemiology Unit and Vice Dean at Government Medical College, Nagpur, India. He also holds joint appointment as Adjunct Faculty at Jiann-Ping Hsu College of Public Health, Georgia Southern University, Georgia and Adjunct Professor in Public Health Leadership, Gillings School of Global Public Health, The University of North Carolina at Chapel Hill, USA. By training he is a physician, public health specialist, and epidemiologist and has completed all his medical education - MBBS, MD and PhD from Government Medical College, Nagpur, India. He has also acquired post-graduate qualifications in Sociology, Public Administration and Economics from Nagpur University. His current professional interests include health systems research, health workforce development and education of health professionals. Prof. Zodpey is involved in designing and implementing several capacity development initiatives including on-campus and distance learning academic programs at PHFI. He is also currently involved in several initiatives related to education for health professionals including situation analysis, estimation of demand and supply of health professionals, designing competency driven frameworks, assessment of impact of educational initiatives on performance of health professionals, research in governance of education for health professionals and advancing reforms agenda for health professional education. He has authored two monographs related to education of health professionals in India. He is also the Member of IOM Global Forum on Innovation in Health Professional Education. 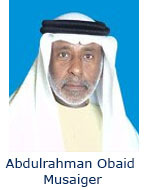 Abdulrahman Obaid Musaiger is the Director of Arab Center for Nutrition – Bahrain, Community Nutrition and Public Health. He has several publications to his credit. He is an esteemed member if the health community. 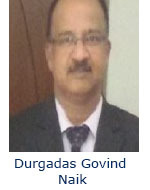 Durgadas Govind Naik is the Associate Professor in the Management & Science University. He is a Microbiologist with 25 years of teaching, diagnostic and research experience. His interests include Antimicrobial Resistance and microbiology.